This weekend marks the forty-first running of the Toyota Grand Prix of Long Beach, long considered the grandfather of American street races. The event started out with a FIA qualifying F5000 race and then moved to Formula One. Thirty-two years ago indycars began, under various banners … CART, Champ Car and now IndyCar. The schedule, as always, is full with something for most everyone. In addition to the Verizon IndyCars, also racing this three-day weekend are the IMSA sanctioned TUDOR Championship Series, SCCA Pro Racing Pirelli World Challenge Series, Indy Lights presented by Cooper Tires Series, ToyotaPro/Celebrity Race, KMC Wheels Super Drift Drift Challenge Series, and Robby Gordon’s SPEED Energy Off-Road Series. 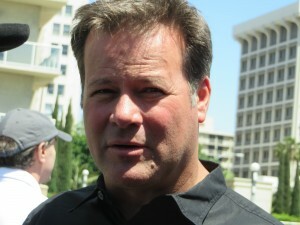 Robby Gordon, along with Bryan Herta, was inducted into the Long Beach Motorsports Walk of Fame Thursday. This is the tenth year of honoring those who have made legendary contributions to the sport. 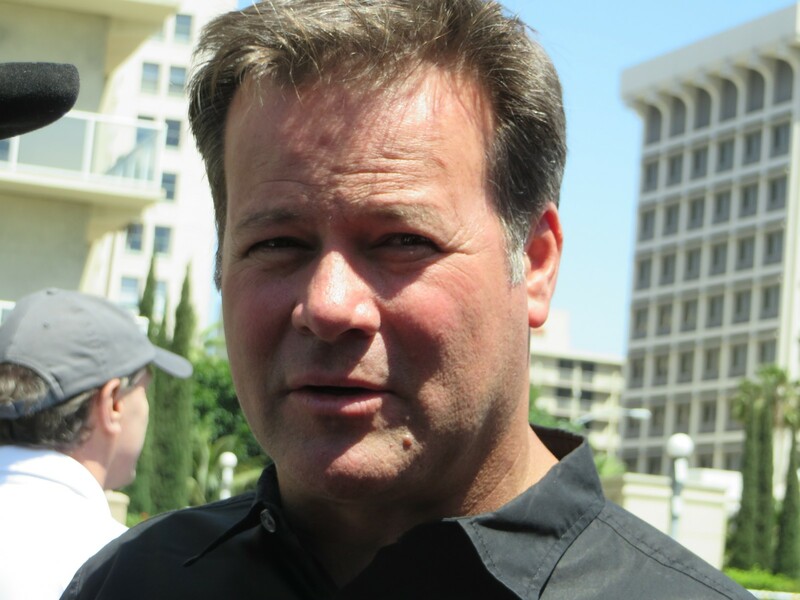 Gordon has raced in four different series at Long Beach – IndyCar, Indy Lights Trans-Am, and last year for debut of the Formula Off Road Series. At Long Beach, he won in Indy Lights, Trans-Am and Off-Road, and finished third in IndyCar. In two more – different – series away from Long Beach, Gordon has won three victories each in NASCAR and the Baja 1000 Off Road race. Herta has raced IndyCars and Indy Lights at Long Beach, winning the 1993 Lights Championship. He ran five Indianapolis 500 races, coming in third in 2005. As an IndyCar team owner, Herta’s driver, the late Dan Wheldon, won the 100th Anniversary running of the Indy 500. Twenty-three drivers are entered for the Long Beach IndyCar race, with some new faces after the first two races of the season – at St. Petersburg and New Orleans. Sebastian Saavedra of Colombia is making his first appearance this year, driving No.8 AFS Chip Ganassi Racing Chevrolet for Chip Ganassi Racing Teams. Rookie Sage Karam, Ganassi’s development driver, raced the car in the first two races this year, and will race again at the Barber race, the Indianapolis 500 and all the remaining race until the season’s finale at Sonoma Raceway in August. Karam is the 2014 Indy Lights Champion. Missing this weekend is Simona de Silvestro of Switzerland, who had raced the first two races in No.25 Andretti Autosport Honda, finishing fourth at New Orleans and eighteenth at St. Pete. She is expected back for the Indianapolis 500. 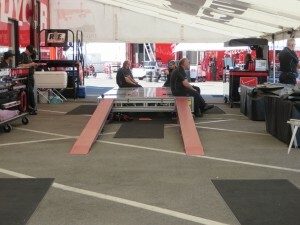 In the IndyCar paddock all the teams were beavering away while their drivers and Crew Chiefs were at the obligatory morning meeting. All the IndyCars had gone through the IndyCar scrutineering process on Thursday, so Friday the Tech Crew were “just sitting and looking pretty.” During the weekend, sometimes after on-track sessions, the teams will bring back a car to be checked. Otherwise, it’s all good. 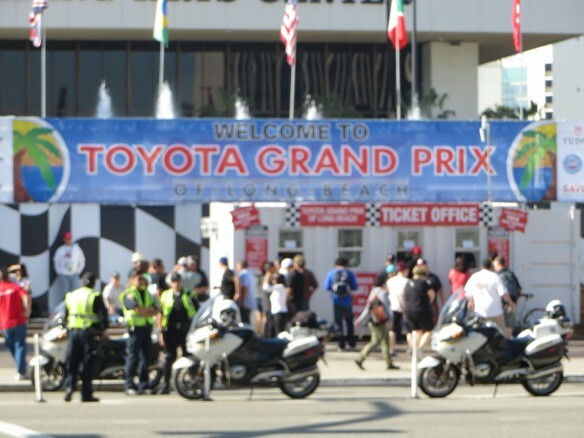 The first IndyCar practice is 12:30pm PDT, with the second session at 3:45pm local time. Each session is 45 minutes. This entry was posted in IMSA, Indy Lights, IndyCar, LBGP, Motor Sports, SCCA, TUDOR, World Challenge by Lynne Huntting. Bookmark the permalink.